improve the overall health, comfort and well being of your best friend. 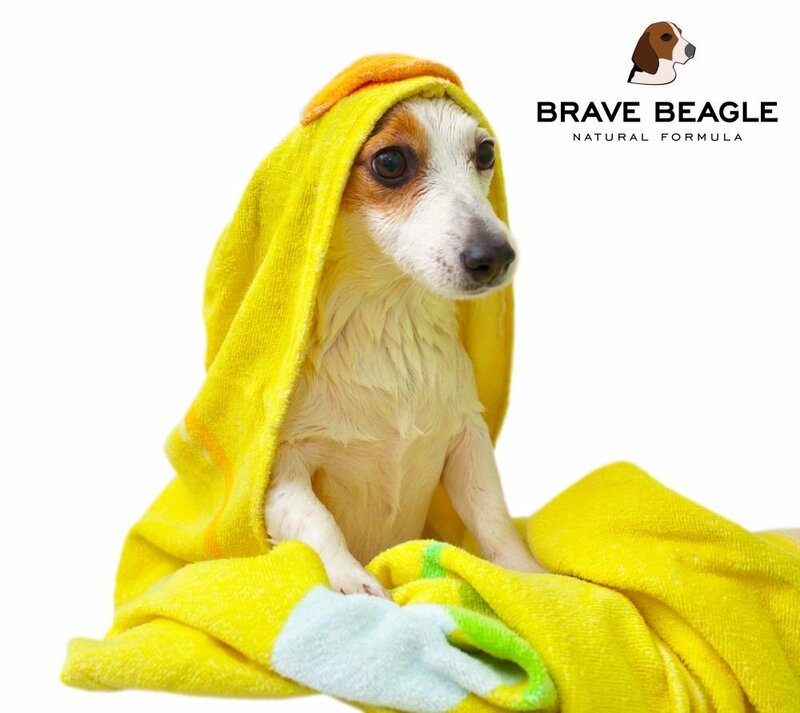 Brave Beagle is a safe and effective way to clean your dogs ears. It's easy to use and very gentle, but it may take some getting used to bu your dog at first. There is really no prep needed besides cotton balls and well a dog. 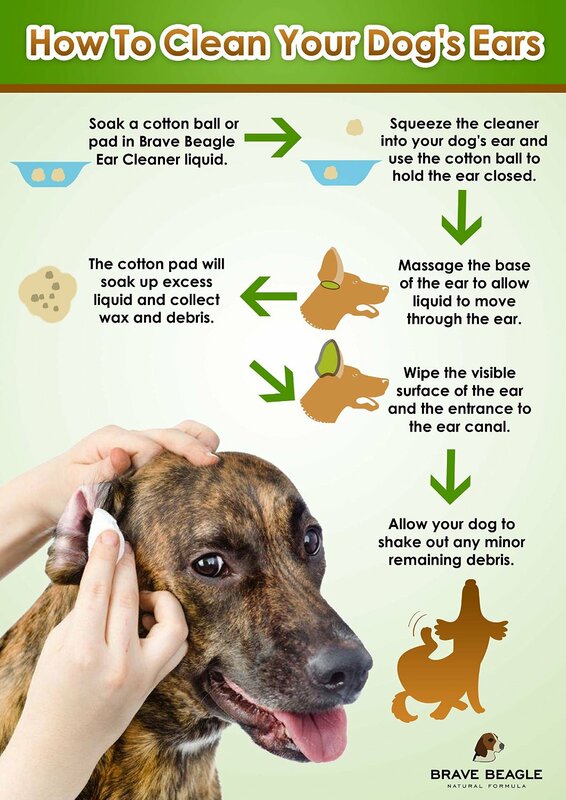 But other then that you just wet the cotton ball with the solution and wipe the inside of your dogs ears clean. The solution has a clean, fresh scent that is not over powering, it's very pleasant. I have been using it on my dogs weekly now with great results. The first time we used it there was tons of black gunk on the cotton ball. My dogs no longer scratch at their years or have that bad smell. I love the fact that it is none drying or irratating, this is a great product that I highly recommend to any home that has a dog. perfect place for fungus, bacteria and parasites to grow and thrive. When your pet's ears are dirty, infected and itchy they are miserable and in pain - and may suffer in silence or scratch til they're raw. Nobody wants their pup to be uncomfortable! focus her attention on squirrels, sleeping in sunbeams and chasing scents. Your Purchase Is Risk Free Let's be clear: this is not just a product we sell, it's a product we use on our own pets and donate bottles of to local rescues. 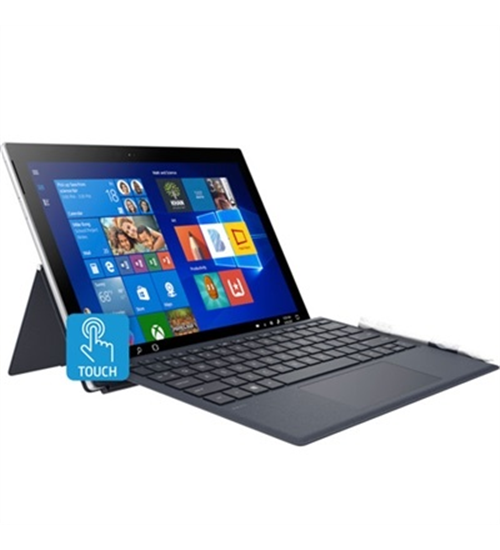 We researched this product thoroughly and stand by its effectiveness and safety. It's made in the USA, is all natural, and brings demonstrable comfort and health. 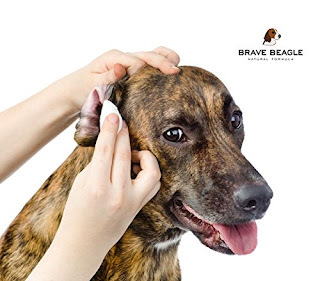 If you and your pet are not equally happy with Brave Beagle Ear Cleaner we want to know. 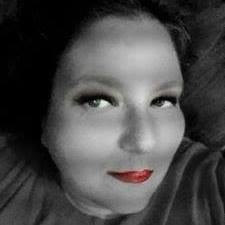 WE WILL MAKE IT RIGHT AND GIVE YOU A NO QUESTIONS ASKED REFUND. MADE IN THE USA - This ear cleaner is developed, designed, packaged and fulfilled within the United States. ALL NATURAL - no alcohol, preservative, parabens or sulfates. FOR ALL BREEDS - suitable for any dog over 12 weeks of age. 8 oz SIZE - twice as big as Burts Bees and similar ear cleaner packaging to last longer. FOR WEEKLY USE - suited for regular, maintenance ear cleaning. Not a medication.